"Providing 60 simultaneous touches in a large-format display helps ensure a natural, unhindered multi-user interactive experience for many applications, from interactive digital signs and assisted selling to command and control applications"
ST. PAUL, Minn.--(BUSINESS WIRE)--3M Touch Systems Inc., a wholly owned subsidiary of 3M Company, has released its 55-inch Multi-Touch Display C5567PW. The interactive system supports 60 simultaneous touches in the largest display format to date from 3M, providing new opportunities for multi-user collaboration, education and information delivery for a wide variety of large-format display applications. 3M will exhibit the C5567PW display this week at InfoComm 2015 (Booth 3051). Stylish look and feel: The C5567PW display uses a glass-to-the-edge, bezel-free design for a modern appearance, essential for brands seeking to deliver a consistent, high-end customer experience. A glass, antiglare touch surface provides a high-quality look and feel, while maintaining viewability in bright, indoor environments. Flexible design options: Portrait, landscape and tabletop modes offer flexibility in orientation to meet a wide range of application requirements. The unit includes multiple display inputs, allowing a more appropriate image format to be used without the need for conversion. Built-in durability: An IPx4-compliant design seals the C5567PW display from surface spills for reliable integration in a variety of orientations and environments. The robust, all-metal design and 4-millimeter tempered-glass touch surface delivers durability for years of use. 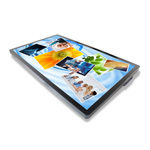 Package and component options: The C5567PW display is available as a complete, prepackaged solution for brands seeking a “turn-key” multi-touch display that is out-of-box ready. 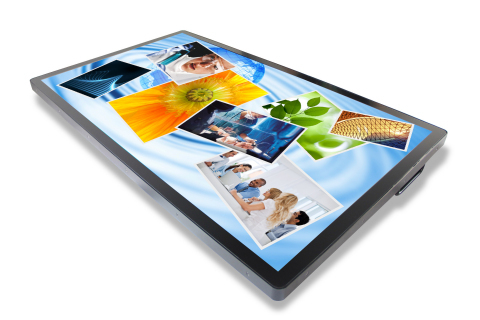 It also is available as a projected capacitive multi-touch system (sensor and controller) for OEMs, ODMs and display integrators developing proprietary large-format, multi-touch devices. In addition to exhibiting the new Multi-Touch Display C5567PW at InfoComm 2015, 3M will have a wide range of multi-touch solutions on display. 3M experts will be available at the show to discuss and answer questions about the technologies. 3M offers single-touch and multi-touch displays for a wide variety of applications, including casino gaming, food service, hospitality, health care, industrial, interactive digital signage, retail point of sale and information, self-service kiosks, interactive learning, and command and control stations. More information about 3M touch solutions is available at www.3M.com/touch.